This 2 bedroom apartment is located in Le Sillon-Courtoisville and sleeps 4 people. It has WiFi, parking nearby and a gym. Intra-Muros 2 km, Dinard/ St Lunaire/ St Briac 14 km, Cancale 14 km, Le Mont St Michel 56 km, Dinan 25 km, Aquarium 5 km.. The agent describes this apartment as an ideal holiday rental for the summer holidays. It is also good value for money. 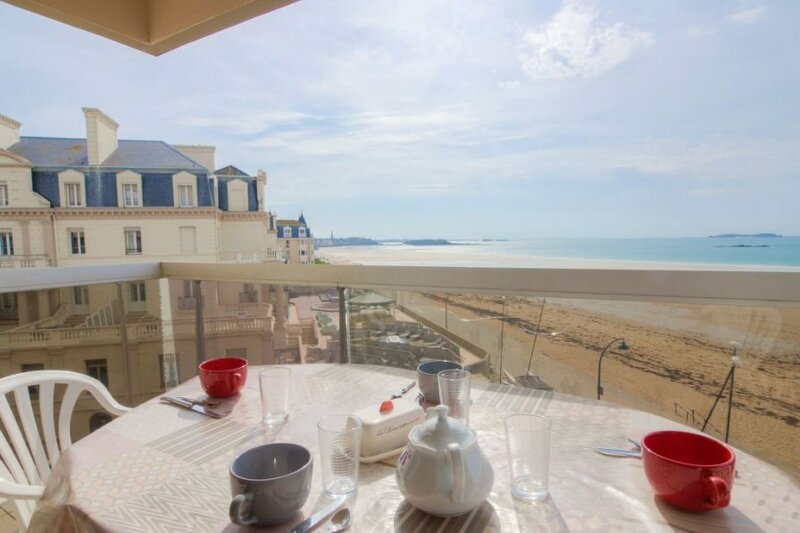 The apartment has a sea view and is located in Le Sillon-Courtoisville. The nearest airport is 78km away. It is set in a convenient location.